The ​LSU Tigers have a ways to go before they're the kind of team you're confident can close out a game, but their 9-1 record in the SEC doesn't lie. Naz Reid and the boys welcomed the Auburn Tigers to their home turf on Saturday, and held a 10-point lead with just 3:11 remaining. However, LSU needed to sweat things out late (and receive a bit of help from the refs) in order to finish the deal. LSU has tried really, really hard to give this game back to Auburn in the final minute. 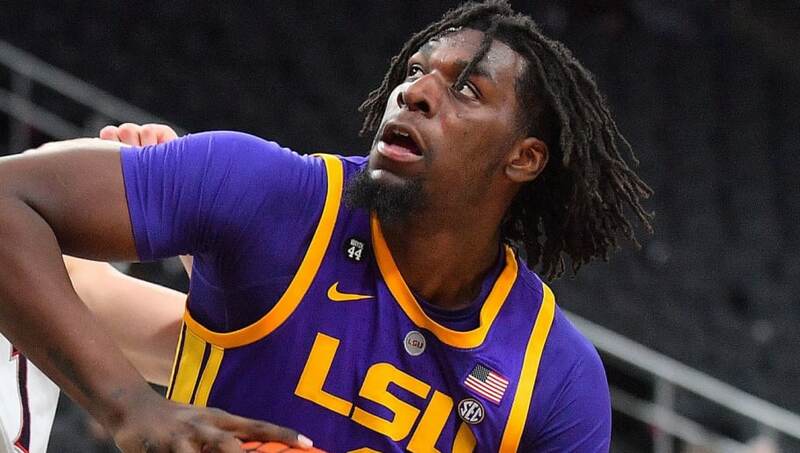 ​​This one ended 83-78, but a few last-minute scrums and swallowed whistles left ​Bruce Pearl apoplectic, as LSU clinched the game from the charity stripe with one second remaining. ​​Likely first-round pick Naz Reid helped make sure closing the game didn't become a complete disaster; his trademark power and poise was fully on display. ​​Junior Jared Harper led the comeback effort for Auburn, notching 25 points on 7-for-11 shooting (5-for-8 from range). This was LSU's day, but it serves as another reminder that this young team is still susceptible to malfunctions, even when the game's in favorable territory. When Kentucky's involved, we'll see if the Tigers are prepared for a battle-tested group.